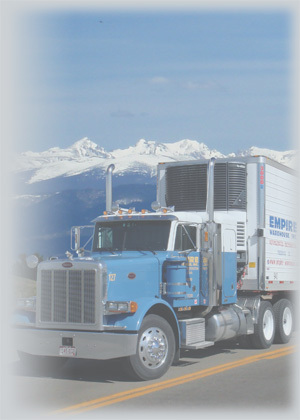 Less than Truckload LTL, Trucking and Transportation Services, Freight, Distribution, Warehouse Storage, Cold Storage, Pool Distribution, Distribution Warehousing - Empire Warehouse, Inc. In addition to on-demand truckload shipping, Empire also provides extensive less-than-truckload (LTL) delivery throughout its service area. Typically, LTL loads range from 1 to 10,000 pounds. What differentiates Empire’s LTL services from many of our competitors is that we provide scheduled delivery of LTL loads in addition to on-demand LTL services. That means our trucks run the same routes, with dependable delivery times, week after week. Not only does this ensure on-time delivery of critical freight, but it allows Empire to offer even more aggressive pricing on this vital service. LTL is an important component to many of our customers’ inventory management efforts. It’s flexible, cost-effective and is provided with the same care as full truckload shipping. Plus, we can deliver almost any kind of freight, from refrigerated or chilled foods to dry shipment of non-food items. Contact us now for a quote or more information on how we can save you money without sacrificing storage and delivery of your load with care!